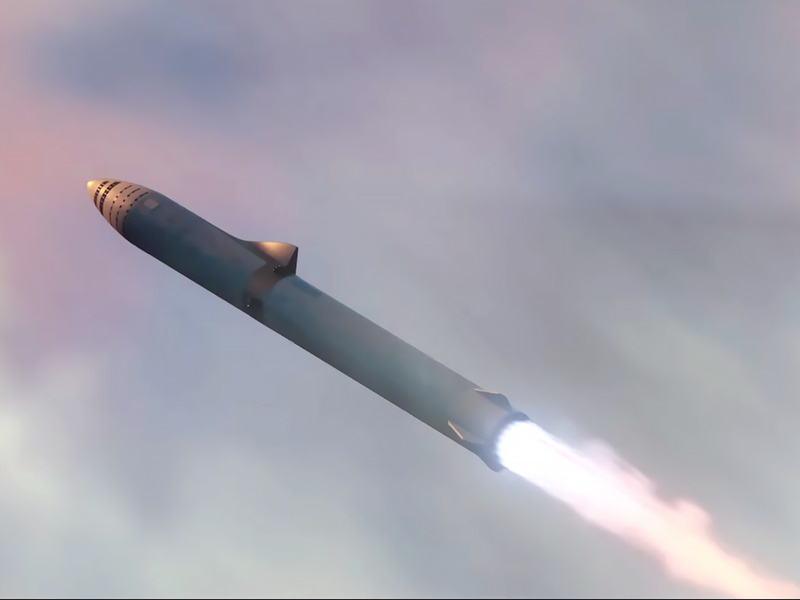 SpaceX/YouTubeReusable Big Falcon Rocket spaceships might enable SpaceX to colonize Mars — and they might all be built in Los Angeles. 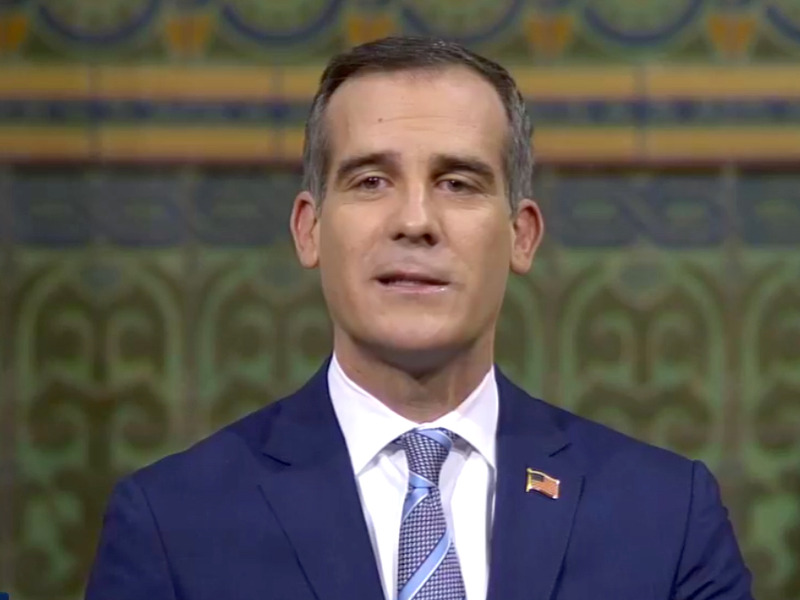 Los Angeles Mayor Eric Garcetti gave his annual “State of the City” speech on Monday. During the speech, Garcetti announced that SpaceX will build Big Falcon Rocket ships for Mars in the Port of Los Angeles. 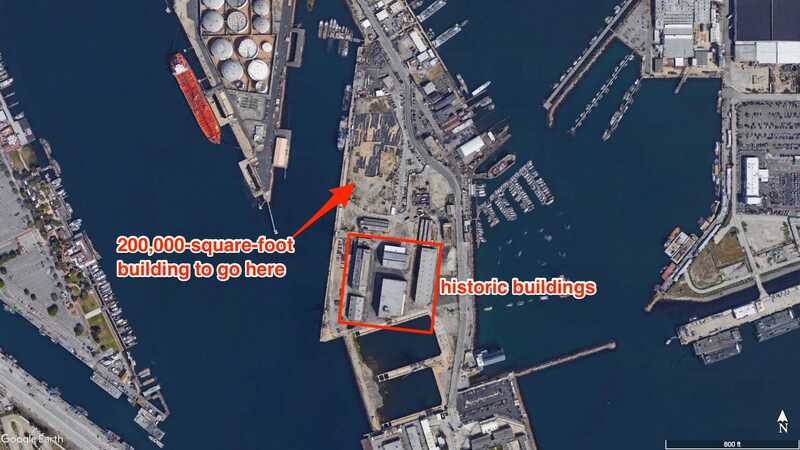 SpaceX, founded by Elon Musk, applied for permission to build a 200,000-square-foot factory at the site, called Berth 240. 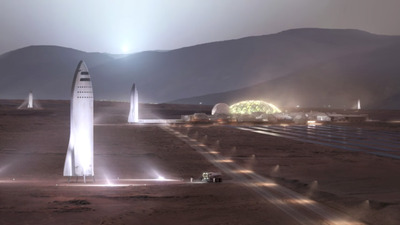 It seems inevitable the rocket company will win approval and begin construction on its Mars spaceships. It’s hard to imagine where in Los Angeles, a crowded city of four million people, that you might build a spacecraft taller than the Statue of Liberty and capable of colonizing Mars. But during an annual speech on Monday, Mayor Eric Garcetti said SpaceX, the rocket company founded by tech mogul Elon Musk, is about to do just that. “If this year has taught us anything, it is to think big – to go after something unreachable. We have the confidence to look up to the stars, and the guts to realise our dreams,” Garcetti said during a live broadcast. FacebookLos Angeles Mayor Eric Garcetti during his 2018 State of the City speech. The Big Falcon Rocket or (as Musk likes to call it) the Big F—ing Rocket, is a two-part launch vehicle designed to carry 100 people and 150 tons of cargo into space. A 19-story booster on the bottom will help rocket a 16-story spaceship on top into orbit, according to the most recent designs shared by Musk. The vehicle is designed to burn liquid methane, since the fuel could be manufactured on many planets and moons in the solar system, including Mars. What’s more, it’s intended to be fully reusable and quickly refuel-able. If Musk and SpaceX succeed in building it, it could upend the entire rocket industry on Earth due to its presumable low cost (much like the relatively low cost of booking a flight around the world inside a reusable jet aeroplane). SpaceX manufactures most of its rocket parts at the company’s headquarters in Hawthorne, California, which is within LA city limits. But the scale of BFR demanded by Musk is immense – end to end, a completed rocketship may stretch more than 348 feet tall – so SpaceX began scouting a new location, and one that wouldn’t be too far from thousands of employees. 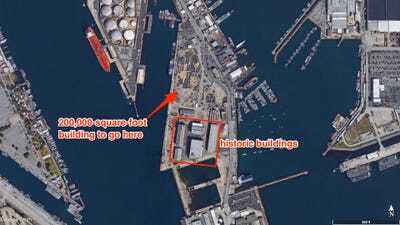 Public documents show SpaceX ultimately asked for permission to lease a site called Berth 240 at the Port of Los Angeles, which is about 14 miles south of Hawthorne. Computer renderings of the building’s design suggest the company will load spaceship and booster segments onto barges and ship them to Texas, where SpaceX has both a launchpad and rocket-testing-and-development facility. Prior to Garcetti’s announcement, it was uncertain whether or not SpaceX would get the lease it wanted. The mayor’s announcement now dispels any doubt that SpaceX has secured permission, and SpaceX’s pending influx of half a billion dollars could be a boon to the city. In a statement emailed to Business Insider, Gwynne Shotwell, SpaceX’s president, noted how the company has worked in the port since 2012 as part of its Falcon 9 rocket-booster-recovery operations. The Harbour Commission is expected to approve the final lease agreement on Thursday. SpaceX doesn’t appear to be waiting for the board’s imminent approval. The company has erected a roughly 20,000-square-foot tent on a berth that SpaceX already leases from the port. And inside, according to an image shared by Musk and photos obtained by Teslarati, the company is amassing tools to build carbon-fibre-composite frames for the BFR. SpaceX did not immediately respond to Business Insider’s questions about the machinery, its purpose, and the schedule for BFR fabrication. 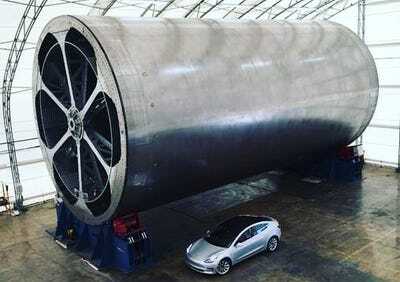 Elon Musk/SpaceX; InstagramA roughly 30-foot-diameter tool that SpaceX will use to build its Big Falcon Rocket spaceships. But Musk has said publicly his company has started work on the BFR’s spaceship – what he considers the most challenging piece to build – and start “short hopper flights” by early 2019 in McGregor, Texas. Assuming the spaceship doesn’t explode during initial testing, SpaceX will begin work on the booster. Musk said late last year that his “aspirational” timeline for a first BFR launch to Mars will happen 2022, followed by the first crewed mission in 2024. But Shotwell said at the 2018 TED conference on Wednesday that she “might out-vision Elon” with her goals for the BFR. This story was updated with new information. It was originally published at 2:45 p.m. EDT on April 16, 2018.